Are you a Luddite? It’s OK. It’s a good thing. It doesn’t mean that you don’t or won’t shop online. Go for it: stay inside in your PJs on Thanksgiving weekend and cyber-shop. The good part of being a Luddite is that you may be more conscious and conscientious of where you shop. Try Fair Indigo, Heifer Project International, Ten Thousand Villages, or Serrv. So, where does that leave us? What is a Luddite? Most of us can relate to the term “spinster,” but most women would take it as a slight, even though its original meaning was simply, “one who spins.” Similarly, “luddite” has changed through the generations to mean someone who is opposed to technology. The history behind the movement is interesting and may change your mind about what a “luddite” really is – and whether it’s OK to be one. We may have images of the original Luddites as bands of vandals destroying all the textile factories to save cottage weavers. But the movement was much more targeted than that. They took their name from one “Ned Ludd” (also known variously as “King Ludd”, “General Ludd”, or “Captain Ludd”). Although a “signature” of Ludd appeared on a “workers manifesto” of the time, Ludd, himself, seems to have been drawn from a local folk tale. Whoever he was, he was believed to have been responsible for destroying two large stocking frames that produced inexpensive stockings, undercutting those produced by skilled knitters. The motives were linked not to a generalized resentment of the technology itself, but to frustration with a new economic system. . “Set” prices, akin to apartment rent control was being abolished in favor or what we might call “free market” pricing. 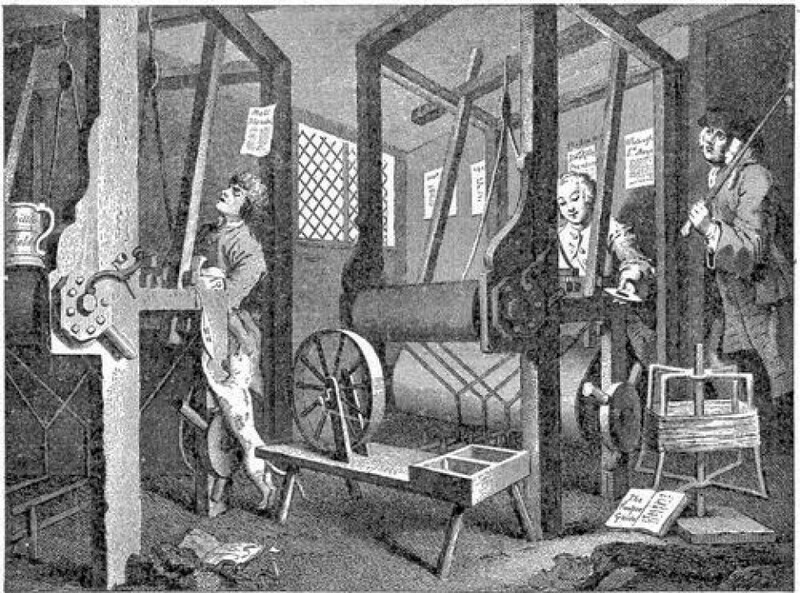 Many historical accounts tell of Luddite raids on workshops where some frames were smashed while others (whose owners were holding to the old economic practices – not cutting prices) were left untouched. One might think of them as the 19th century version of activists who put bananas in the gas tanks of construction machinery on the site of a new Wal-Mart going up in town. They were fighting for a fair wage for workers; cutting prices on goods inevitably leads to cutting wages for workers. Are you a Luddite? If so, I’m glad. If not, consider the benefits of “smashing” the machinery of businesses that support low wages and unhealthy working conditions. Celebrate the season with joy and prosperity for all.